Step out of the city life by going to Walking tours and Alice Springs Reptile Centre. Shop till you drop at Alice Springs School of the Air Visitor Centre and Yubu Napa Art Gallery. 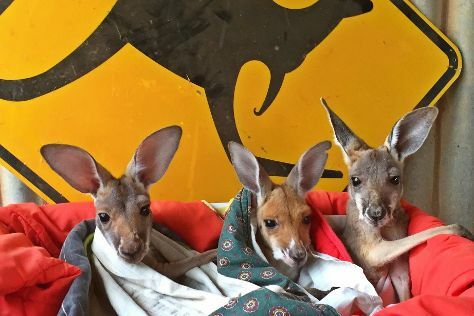 There's still lots to do: look for all kinds of wild species at Alice Springs Desert Park, browse the exhibits of This is Aboriginal Art, get great views at Anzac Hill, and explore the world behind art at Mbantua Fine Art Gallery. To see ratings, more things to do, traveler tips, and other tourist information, read Alice Springs itinerary planner . Melbourne to Alice Springs is an approximately 5-hour flight. You can also drive; or take a bus. Prepare for a bit warmer weather when traveling from Melbourne in February: high temperatures in Alice Springs hover around 42°C and lows are around 24°C. Finish your sightseeing early on the 18th (Mon) so you can travel to Katherine. Katherine is a town in Northern Territory, Australia. Get outdoors at Katherine Gorge and Edith Falls. Head to Top Didj Cultural Experience & Art Gallery and MiMi Aboriginal Art & Craftfor some retail therapy. Spend the 20th (Wed) exploring nature at Nitmiluk National Park. There's still lots to do: get great views at Bukbukluk Lookout, look for all kinds of wild species at Low Level Nature Reserve, see the world from above with a helicopter tour, and tee off at Katherine Country Club. To see traveler tips, ratings, other places to visit, and more tourist information, go to the Katherine route maker site . Getting from Alice Springs to Katherine by flight takes about 4.5 hours. Other options: drive; or take a bus. Expect somewhat warmer evenings in Katherine when traveling from Alice Springs in February, with lows around 28°C. Finish your sightseeing early on the 22nd (Fri) to allow enough time to travel to Mataranka. Mataranka is a community of about 400, in the Top End region of Australia's Northern Territory. Kick off your visit on the 23rd (Sat): stroll the grounds of Elsey Cemetery National Reserve, then look for all kinds of wild species at Elsey National Park, then identify plant and animal life at Botanic Walk, and finally take in the natural beauty of Bitter Springs. For maps, reviews, more things to do, and tourist information, go to the Mataranka day trip app . Getting from Katherine to Mataranka by car takes about 1.5 hours. Cap off your sightseeing on the 23rd (Sat) early enough to travel to Jabiru (Kakadu National Park). Jabiru is a town in the Northern Territory of Australia. Get in touch with nature at Yellow Water and Nourlangie Rock. Spend the 28th (Thu) exploring nature at Jarrangbarnmi / Koolpin Gorge. There's still lots to do: identify plant and animal life at Cahills Crossing, explore the ancient world of Ubirr, admire the sheer force of Motor Car Falls, and make a trip to Mirrai Lookout. To find more things to do, reviews, photos, and other tourist information, use the Jabiru (Kakadu National Park) online trip itinerary maker . Traveling by car from Mataranka to Jabiru (Kakadu National Park) takes 5 hours. 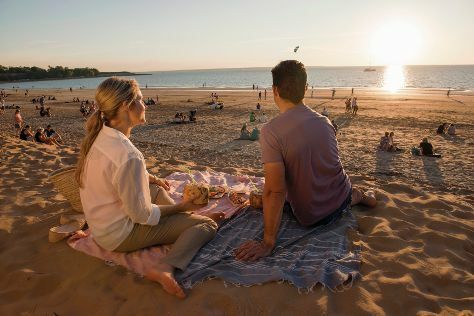 Finish your sightseeing early on the 1st (Fri) to allow enough time to drive to Darwin. Get outdoors at Mindil Beach and Crocosaurus Cove. Spend the 3rd (Sun) wandering through the wild on a nature and wildlife tour. Spend the 5th (Tue) on the water with a fishing tour. And it doesn't end there: see the interesting displays at Defence of Darwin Experience, take an exotic tour of a safari tour, look for gifts at The Book Shop Darwin, and race across the water with a speed boat tour. To see more things to do, photos, reviews, and tourist information, read our Darwin trip itinerary app . Getting from Jabiru (Kakadu National Park) to Darwin by car takes about 2.5 hours. Other options: take a bus. In March, daytime highs in Darwin are 38°C, while nighttime lows are 28°C. Finish up your sightseeing early on the 6th (Wed) so you can travel to Batchelor. Start off your visit on the 7th (Thu): explore the striking landscape of Litchfield National Park. For more things to do, other places to visit, and tourist information, read our Batchelor driving holiday planner. Getting from Darwin to Batchelor by car takes about 1.5 hours. In March in Batchelor, expect temperatures between 38°C during the day and 28°C at night. 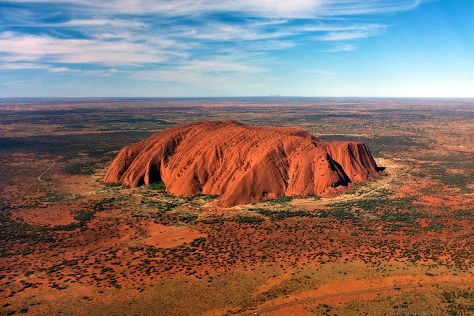 Wrap up your sightseeing on the 7th (Thu) early enough to travel to Uluru-Kata Tjuta National Park. Get in touch with nature at Walkatjara Art and Kata Tjuta. There's much more to do: appreciate the views at Valley of the Winds, get answers to all your questions at Uluru-Kata Tjuta Cultural Centre, get outside with Walpa Gorge, and take in the pleasant sights at Lungkata Walk. To find maps, ratings, traveler tips, and tourist information, go to the Uluru-Kata Tjuta National Park trip itinerary website . Use the Route module to find suitable travel options from Batchelor to Uluru-Kata Tjuta National Park. Traveling from Batchelor in March, expect a bit cooler with lows of 24°C in Uluru-Kata Tjuta National Park. Wrap up your sightseeing by early afternoon on the 11th (Mon) to allow enough time to travel back home.